Street crime remains high on the public and political agenda, and is frequently the subject of media attention and concern. This book aims to provide a detailed and accessible account of the phenomenon, placing the subject in its theoretical, historical and political context. 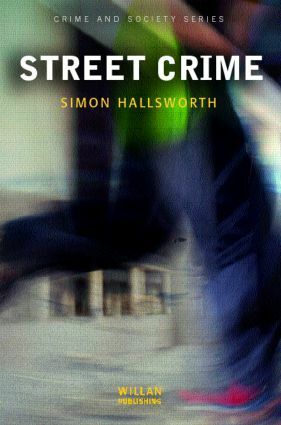 It addresses the question of how serious a problem street crime really is, and why it has become such a hot political issue. The book draws upon contemporary debates about the supposed presence of an emerging underclass, and in particular the 'criminalisation' and 'racialisation' of black communities with whom it has come to be particular associated in the public mind. The author then develops a framework of analysis which focuses upon the relationship of three key variables: the production of motivated offenders, the availability and suitability of victims, and a study of the limits inherent in current control strategies. Finally, the book concludes that a successful prevention strategy requires an agenda for revitalising the public sphere in inner city areas --rather than reliance policies of situational crime prevention, zero tolerance policing and increased punishment.